Play Sizzling Hot™ 6 extra gold online for free now! 5 or 6 reels - how many would you like? Slot-playing pros only have one answer in mind: The more, the better! With Sizzling Hot™ 6 extra gold you decide whether you want to dare your luck with an additional reel by clicking the "Extra-Bet" button – nothing ventured, nothing gained because with six correct symbols on one of the five win lines your Twist account balance skyrockets! 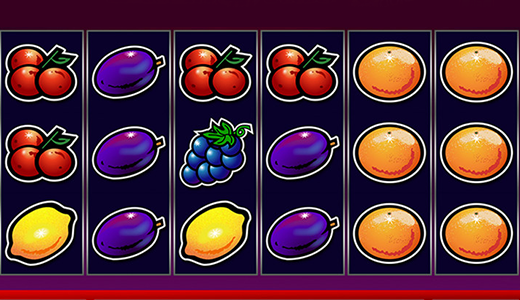 The aim with the fruit slot Sizzling Hot™ 6 extra gold is to land six symbols on one of the five win lines that run from left to right. The Star is your trusty aide when hunting for Twists as it wins regardless of the line course: It just has to land three to six times in any position on the reels! To activate the sixth reel, please click on the "Extra Wild" button at the top right next to the logo.